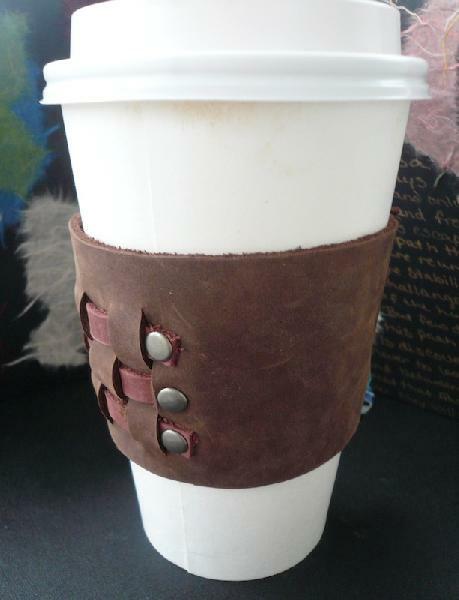 Coffee Cuff for those who want to go green and stay fashionable while drinking there cup-o-jo. These coffee cuffs are hand crafted and perfect for insulating your coffee and reusable to keep your world a happy place. Fits all average sized to go coffee cups.